Give your clients piece of mind by organizing their paperwork in a completely-customized pocket folder that you design yourself from start to finish. Our online design editor makes it painless and (dare we say?) 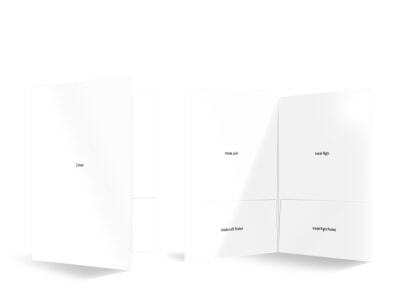 fun to act as your own graphic designer as you customize one of our blank pocket folder templates to fit your business or organization. Pick a layout, upload your photos, change the colors and so much more. Satisfied with your work? Send the job to your usual printer or try out our print services – you won’t be disappointed!